Greek Mythology has spawned some of the most popular personalities in History. 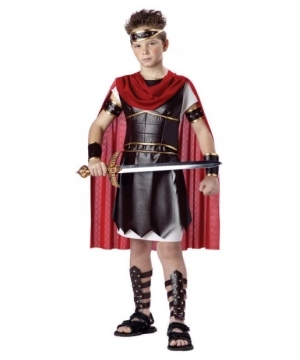 Hercules, Zeus, Poseidon and Cupid are among some of the most well liked figures represented by Boys Greek Costumes. Become a hero of immortal proportions in a Greek Costume. Or dress up as the greatest hero of Greek Mythology, Hercules, in a Hercules Costume, fitted with the armor and cape. Indeed, the days of the Parthenon are long gone, but they are not forgotten, and this ancient culture of wise scholars, spectacular performances and frightening gods can be relived through you with a Greek Costume.